The Perfect Wedding, my sweet little boy-meets-boy family-friendly rom-com holiday-themed movie originally released in 2012, is still available from Wolfe Releasing! But back in 2010, I co-write an m/m rom-com screenplay along with my husband Ed, and our son Jason. We loved our little indie script so much that we decided to produce the movie ourselves! Gavin (super-cute Jason T. Gaffney, Jolly) and Paul (drop-dead handsome Eric Aragon, The Interview), two young gay men, meet and fall in love over a holiday weekend where family and friends are planning the wedding of Paul’s sister. The problem is, Gavin is posing as the boyfriend of Paul’s ex and the two find themselves in a classic comic quandary as they try to ignore their feelings. THE PERFECT WEDDING stars James Rebhorn (Independence Day, Homeland, White Collar) and Kristine Sutherland (who played Joyce Summers, AKA Buffy’s mom in Buffy the Vampire Slayer) as our hero, Paul’s parents, who have a really juicy subplot of their own. Both of these amazing actors joined our cast out of their love for our script! It was filmed in approximately twenty days, in June, in Sarasota, Florida, with a cast and crew of over fifty people. Bonus features include video interviews with James Rebhorn and Kristine Sutherland! The fabulous soundtrack for the movie was composed and arranged by the up-and-coming very-talented Jack Gravina. 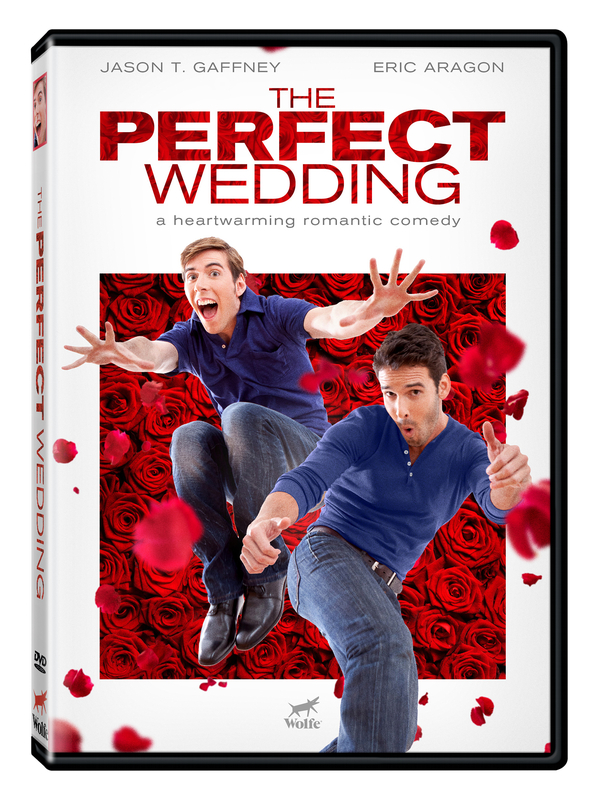 You can watch a trailer below, or buy or rent THE PERFECT WEDDING on Amazon or iTunes! A boy-meets-boy Christmas rom-com movie!